Climbing a 14er is a challenging adventure that’ll give you a story to tell for the rest of your life! There’s something about the idea of conquering an enormous mountain that entices people to put it on their bucket lists. 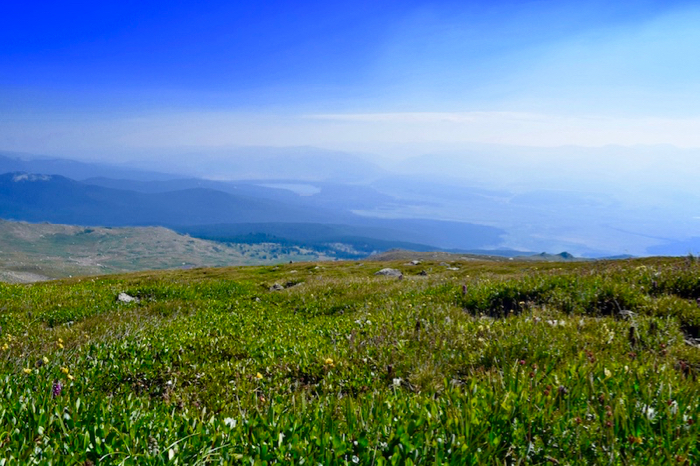 The great thing about Colorado’s 14,000ft mountains is that there are many that are an achievable day hike for anyone who is well-prepared and physically fit. This guide is a great starting point to prepare you for your first adventure at altitude. Climbing my first 14er was one of the most physically and mentally demanding things I’ve ever done but it was an experience of a lifetime that I’d recommend to anyone looking for a true adventure. Looking at Mount Massive from the ranger station the day before my climb, it looked impossible to climb that far in a single day. The mountain is so appropriately named it’s not funny, but my two little legs were up for the challenge! I’d been told for your first 14er it’s an achievement to attempt to summit and I’m proud to have made it to the top of this enormous mountain standing more than 2000ft higher than the tallest mountain at home in New Zealand. After reading trip reports, I had budgeted 6-7 hours for a return hike. I’m reasonably fit but the altitude had much more of an impact on me than I’d expected and the total trip took 10½ hours! It was so much fun walking through the forest as the sun rose, seeing the landscape change so drastically and the views were incredible. The last hour and a half to the summit was really tough and we almost gave up a handful of times. It was a humbling experience to be in such a vast landscape and it’s a day that I’ll never forget. If you’re heading to Colorado this summer and want a true taste of local life, consider adding a 14er to your adventure itinerary. There are 53 mountains in Colorado that stand over 14,000ft tall and selecting a good beginner mountain will help you to summit more easily. 14ers.com is a great resource to help you decide and contains all the information that you’ll need from difficulty ratings to route maps and trip reports. This website also suggests a few of the easier 14ers for your first attempt but don’t forget to consider the difficulty rating, trail length, altitude gain, location compared to your travel itinerary and road conditions to the trail head. Choose a picturesque trail to make your hike even more enjoyable. If, like me, you live at or near sea level, there’s only so much that you can do to physically prepare yourself for hiking at altitude. At about 9000ft and above, I started to notice the difference and found myself out of breath and fatigued doing things I’d normally easily handle. Start preparing at least 2 months before your trip and aim to be as fit as possible. You’ll need good cardiovascular fitness, endurance, flexibility and strength to get you up the mountain so make sure your training plan addresses all of these. Get out and hike as much as possible with a weighted pack, climb, do stair runs, weight train regularly and don’t forget your stretching! If you don’t live at altitude, then make sure you do some shorter hikes above 8000ft before your big day. Zip off pants may also be a good idea so that you can strip down to shorts. Your hiking boots are the most important thing on any hike so invest in a quality pair of waterproof boots and wear them in well before your 14er attempt. You lose twice as much water at altitude so take lots and lots of water and consider taking a water filter for backup. I took 4 liters and needed more. Electrolyte supplements may also help to prevent dehydration. Pack lots of high energy food with plenty of protein and carbohydrates to fuel your climb. Try to avoid sugary foods and caffeine as they can dehydrate you and lead to energy crashes. The day before your climb, check in with local rangers for an up to date weather report. Get a good night’s sleep and hit the trail early to give yourself as much time as possible to be back below the treeline before afternoon thunderstorms. Keep drinking water and snacking throughout your climb and plan a breakfast and lunch stop to give yourself a longer break. Climbing your first 14er should be a positive experience and while it’s an achievable goal for someone who is fit and well-prepared, it is dangerous. Always put your health and safety before anything else be prepared to turn back at any time. Keep an eye on the weather and turn back before it gets stormy, know the symptoms of altitude sickness and don’t underestimate how difficult the descent will be. Summiting is only half of the journey and most hikers get injured or killed on the return trip when fatigue sets in. Monitor your progress with a map and set timed targets to make sure you’ve got enough time to complete the hike. Most importantly, enjoy your climb regardless of if you reach the summit or not. It’s the journey, not the destination that counts and there’s always next time! As for me, I’m off to attempt the Rocky Mountain’s Longs Peak this summer. See you out there!